Canada’s longest running musical, Anne™is an enduring classic told with modern sets, staging, and choreography and will have you laughing, singing and even wiping away a tear. Anne of Green Gables -The Musical™ is the original musical adapted from the novel “Anne of Green Gables” by Lucy Maud Montgomery. It has been running for 48 consecutive seasons at The Charlottetown Festival, Confederation Centre of the Arts since 1965. The show has played internationally in London’s West End, New York, Japan and Sweden and toured countless cities. 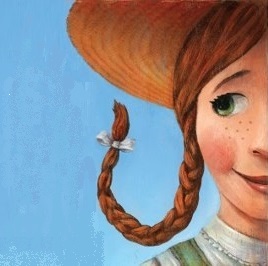 Anne of Green Gables -The Musical™ won the prestigious ‘Best Musical’ award by the London Critics. Matthew and Marilla Cuthbert, have decided to adopt an orphan to help them around their farm. To their surprise the child that arrives isn’t a boy, but a red-headed girl with an overactive imagination and a knack for getting in trouble! Pretty soon this feisty young girl in pig-tails will work her way into the lives and hearts of everyone in Avonlea. The book has sold more than 50 million copies worldwide and this much-loved musical celebrates 50 years of music and dance in 2014. Lyrics by: Don Harron & Norman Campbell. Additional lyrics by Mavor Moore & Elaine Campbell.